The urgency of preventing climate chaos is back on the agenda. For years now, the controversy over a certain trade agreement has pretty much blocked any discussion – let alone action – on the biggest threat facing the planet. Extinction Rebellion, a group formed less than a year ago, has changed all that with a series of high-profile stunts. Last November, protestors from the group shut down several bridges in London and just this week some brave ER activists got their kit off in parliament during another interminable Brexit debate. Along with the Youth Strike, which saw kids around the world skip school to march for climate action, Extinction Rebellion is helping to put the issue back where it belongs. Right now, things are gearing up for an international day of action on April 15th. 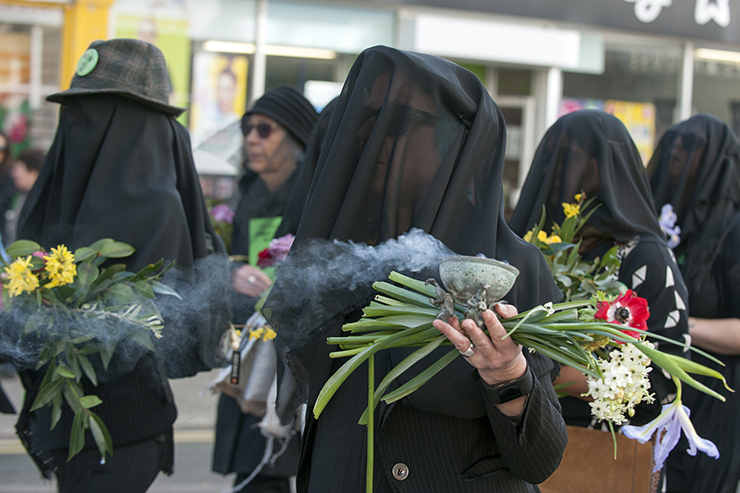 We spoke to local campaigner Simon Hyde about Brighton’s Extinction Rebellion group and the things they’ve been doing in the city to remind people of the urgent need to avert what many are now calling an extinction event. Extinction Rebellion is a group of ordinary people united to address the dire climate and ecological emergency in which we now find ourselves. It’s grown rapidly from the UK to its current global reach. 1) The government and the media must tell the truth about the climate crisis. 2) The UK must become carbon neutral by 2025. 3) And, by necessity, this requires a citizens’ assembly to oversee these urgent changes – to act with the same energy as at times of war. Extinction Rebellion is for anyone who cares about our future. What we want is a world fit for many generations to come. We use non-violent civil disobedience. Our movement is open, welcoming and supportive. We urge everyone to join us. When did the Brighton group start and how many people are involved? Brighton’s Extinction Rebellion started in late autumn 2018 and is increasing in numbers daily. Close to 1,500 people now like its Facebook page and hundreds of local residents are involved in our meetings and actions. Our group includes people of all ages and from all walks of life. Can you tell us about some of the actions you’ve staged locally? 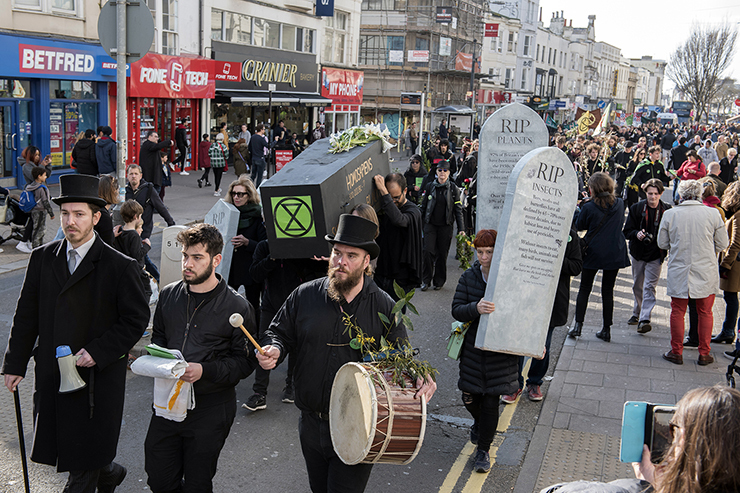 To date, Brighton Extinction Rebellion successfully helped pressurise Brighton and Hove Council to declare a climate emergency in December 2018. 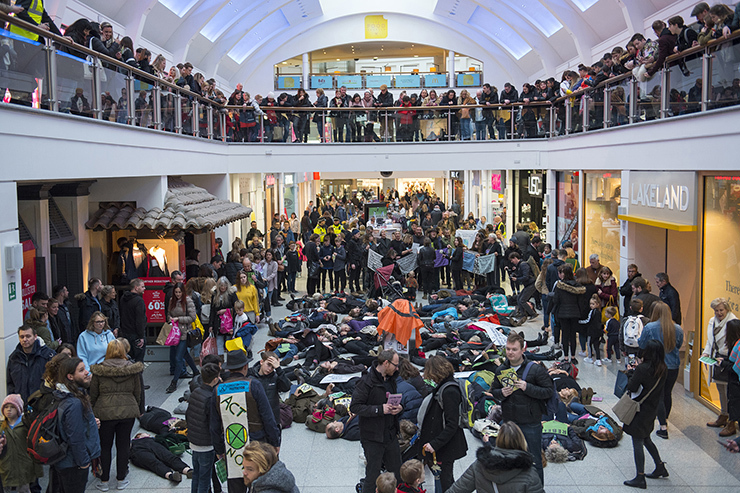 In January we held a ‘die-in’ at Churchill Square shopping centre, in which over 80 people lay down on the floor for 11 minutes, symbolising the 11 years left to act to avoid climate catastrophe. 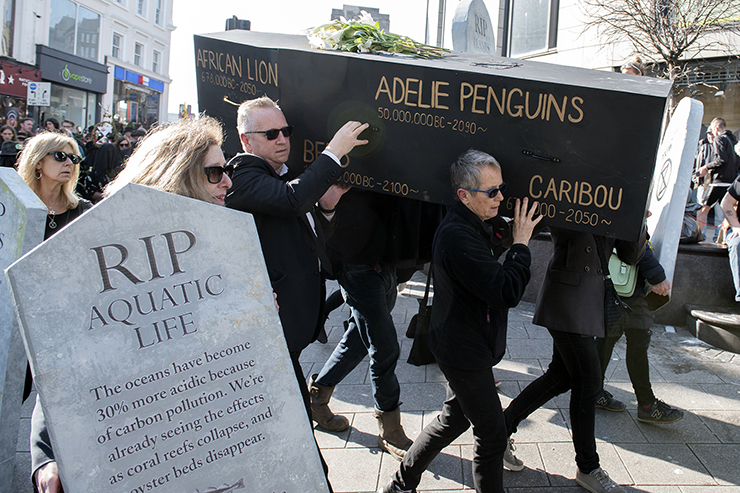 In March, we staged a funeral march for ‘Life on Earth’ in central Brighton with around 500 ‘mourners’ in attendance. We also have a choir, which stages flash mobs around the city. Look out for us! How has the public reacted at these events? The public has been overwhelmingly supportive. Brighton is such a progressive place. Our city has long been associated with environmental awareness. Many people here understand that temporary inconvenience is nothing compared to the stark reality that we’re all facing: the end of everything we love. What were your personal reasons for joining the group? I love nature in all her forms and despair at the way she is treated. I am a vegan, have solar panels, recycle what I can and try to keep my carbon footprint as low as I can. I am disabled and need a powered wheelchair to get around. Extinction Rebellion’s regenerative culture encourages me to use my time, talents and effort in a satisfying way. I do not want to leave the planet in so much worse a state than when I was born. I can at least look my niece and nephews in the eye and say I tried. 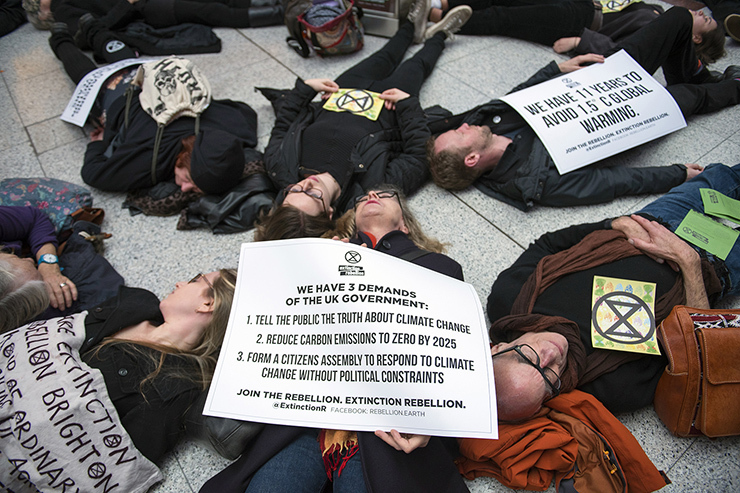 When I first committed myself to Extinction Rebellion in October 2018, only three people came to the meetings in Brighton – but I knew more would join if we persisted. Why do you still hear some people disputing the science of climate change? The thing is, most people don’t understand that we’re living through an emergency, because the media and the government aren’t treating it as such. What’s happening on April 15th? That’s the day Extinction Rebellion is making an international declaration of non-violent rebellion against the world’s governments for criminal inaction on the climate crisis. The details are still being finalised, but the plan in the UK is to bring parts of central London to a standstill. Watch this space! Is there anything planned locally or is the focus on London? The focus is on London. Hundreds of us are going up from Brighton to the capital (on public and eco-friendly) transport. The idea is to gain as much attention for our message as possible, which means converging on the centre of power. Are there any developments in politics that give you hope? The Youth Strike for Climate is a massively hopeful movement. Greta Thunberg has really captured the imagination of her generation. I hope it goes from strength to strength. The Sunrise Movement in the US and the outbreak of climate litigation, like the Children’s Trust’s lawsuit against the US government, also both make me feel optimistic. 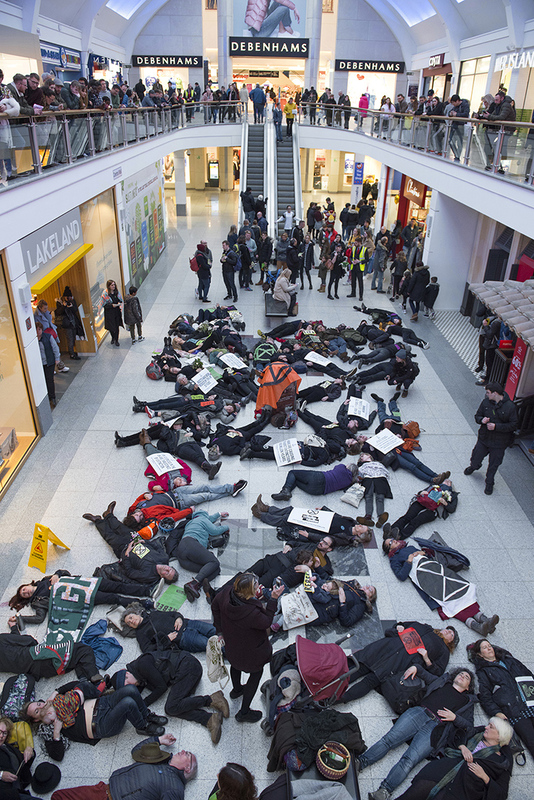 How can people get involved with Extinction Rebellion in Brighton? They can join us on Facebook or email us at xr_brighton@protonmail.com. What would you say to those in denial, or even despair, about the climate? 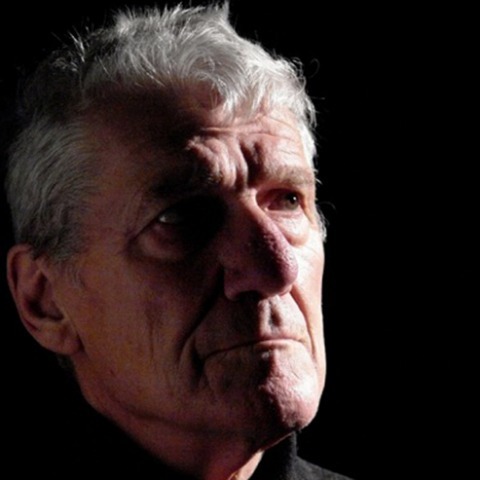 Accepting the truth and depth of the climate catastrophe is very difficult. I can see why people don’t want to do that. But once you start to experience the grief, the way out is to rebel.